A UFO spotted on NASA International Space Station (ISS) live stream on January 14, 2014. The object seems to morph into a triangle shape before its disappearance, effectively ruling out the possibility it is a lens flare or an object reflected out the viewing window from inside the space station. 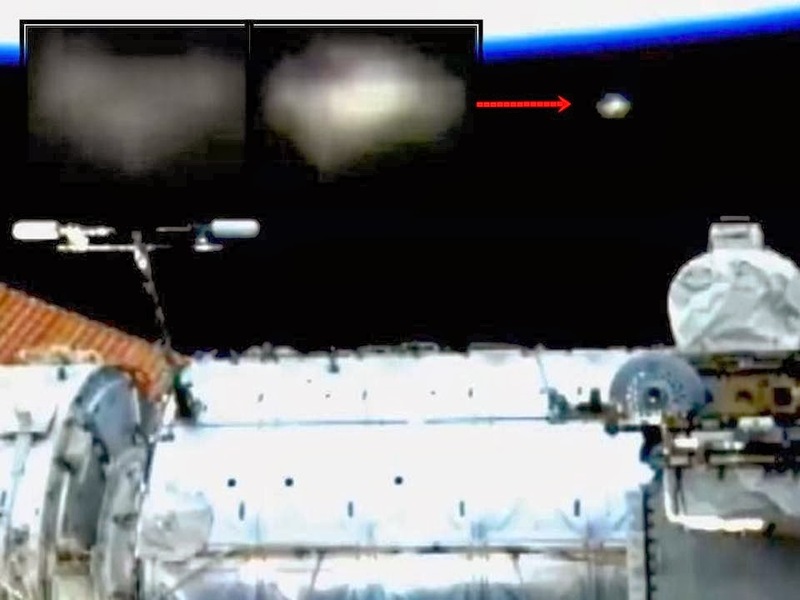 A few days earlier, another UFO on ISS live stream.